As a SEO who is always attending networking events, I share with you a good ice-breaker for your next big networking event. For starters, if you plan to meet an attorney at your next Chamber of Commerce after-hours event come prepared. Attorneys love a good lawyer joke more than the rest of us because they’re used to poking fun of themselves. The possibilities of a quick joke for a lawyer or any profession may be just the thing to get them interested in you. Here’s the best one-liner you can find for a Personal Injury Lawyer. Have fun! 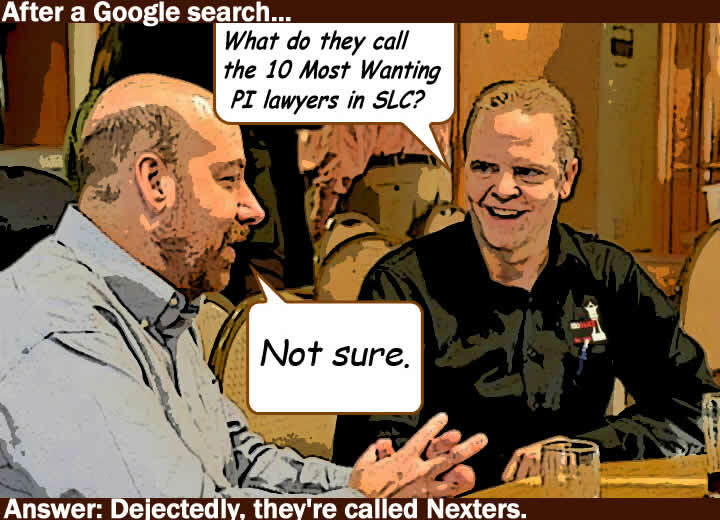 Answer: Dejectedly, they’re called Nexters. This one liner also works with other professions that need to hire you for your SEO or digi-marketing services to get them to the 1st page of Google. Just substitute lawyer with roofers, mortgage brokers, CPAs, DJs, printers, videographers… Be as specific as you can! And for those who you meet that are not professionals this joke may work for industries like: mlm software companies, online cake delivery, alcohol and drug rehab facilities, translation services, brain training, self publishing companies, wedding reception centers, hair salons, day spa owners, Zion National Park hotels, hospital labor benchmark solutions etc. Final thoughts: Be sensitive to their website ranking as you listen and find out if they are possibly interested in being on the first page for their trophy keyword(s) or if they want to get more traffic by being on the first page. Also, let them know that just because 10-websites can make it to the first page of Google that in most cases an additional 3-pack of local listings can also be on the first page due to the Google map listings. At last be creative with their marketing needs and hopefully this ice-breaker joke can work for you at your next big networking event. Good luck and stay pithy!